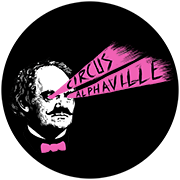 is another founding partner of Circus Alphaville. That doesn’t make him the clown – but he does know how to make movies. From Recontruction (2003) that won the Camera D’ore at Cannes Film festival to Spies & Glistrup (2013) he has consistently done the inconsistent thing. This was further proved in 2018 when Christoffer within the same week released a TV series “Warrior” (which he co-wrote and directed) and the suspense thriller “Journal 64” which moved on to be the highest grossing film in Danish cinema history. Always defying expecation but always making something new, fresh and different. In 3 short words – we like him. On the commercial scene Boe has done splendid work for brands such as Carlsberg, Danfoss, The Royal Danish Theatre and not the least his corporate documentary for Maersk which set new standards for corporate films earning no less than 500m views around the globe. Lately Boe’s astonishing art film about 7 human conditions “The Journey”, which was shot on all 7 continents opened the Moesgaard’s Museum first exhibition.